Explore a secluded island and the Carolina shoreline with a 2-hour tour aboard a 21-foot Bay Boat from Folly Beach. 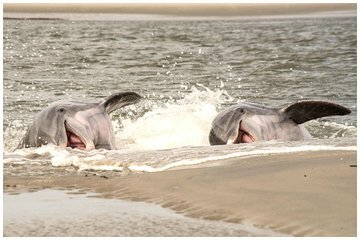 Spot the dolphins that thrive in the coastal waters, and learn about South Carolina’s nature and wildlife. Hear stories about the area’s wild, pirate past, and visit aromatic deposits of the region’s distinctive ‘pluff mud.’ Come ashore on Morris Island to stroll pretty beaches and enjoy views of the coast before returning to the Folly Boat Landing. 3 Traveler Minimum.